2. The specification: 85 color value, or according to the requirement of our clients. 4. Origin: Black sesame seeds as raw material, it is natural pigment which is extracted from black sesame by modern biotechnology. 6. Package: cardboard drums, with double aseptic food poly bags inside. Or by cartons, with vacual aseptic food poly bags inside, 25kgs per carton with 10 bags inside, 2.5kg per bag. 7. We have passed HACCP Certificate, ISO9001 Certificate and we have USA FDA register number. And we are also Alibaba Chinese supplier. Now, we can do commodity inspection. 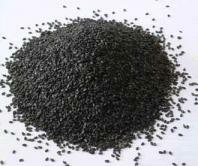 Melanin (Black Sesame Color) is plant extract, natural pigment, food additive. Packing: 25kgs/carton, 2.5kg/bag, double plastic bag vacuum packing inside, with carton outside. Our company is specialized exporter, manufacturer and supplier of Melanin (Black Sesame Color) in China. Company: DaXingAnLing Lingonberry Organic Foodstuffs Co., Ltd.
lonicera caerulea var. edulis P.E.